1975 was a weird year for Buffalo. For 3 years they ruled the suburban and country town halls with their stompin’ high-energy heavy metal sound, yet at the same time only had very minor success with record sales. Buffalo were at the crossroads !! Did the band feel they were treading water and they needed to try and improve on the record sales side of things ??? It certainly seemed so. 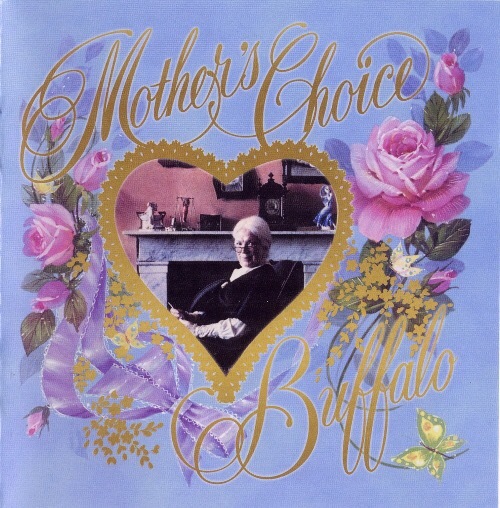 In a move which shocked Buffalo fans, guitarist and songwriter John Baxter was sacked from the band and a new direction was sought, which brings us to the 1976 LP Mothers Choice. True, this ain’t the Black Sabbath on speed sound of the earlier LP’s, never the less this is defiantly one of Buffalo’s greatest moments – the sludgy metallic riffs of ‘Volcanic Rock’ and ‘Only Want You For Your Body’ have been replaced with a ‘Sticky Fingers’-era Stones/Chuck Berry on rocket fuel type vibe. As the Tatts would say ‘good time rock and roll’. The killer riffs are still there as is the power and energy. Karl Taylor wrote most of the music on this album and was a great choice as new guitarist. Playing slide is Norm Roue (from Band of Light, another great Aussie band) his playing being nothing short of genius. Peter Wells who plays bass on this album definitely must’ve picked up a few pointers from Norm, as the style he played with Rose Tattoo is not dissimilar. It did seem for a while that this album was going to be huge, as a single of ‘Little Queenie’ b/w ‘The Girl Can’t Help It’ charted quite well. But somehow it didn’t happen. A follow-up single, another cover version – ‘Sweet Little 16’ did get T.V and radio play but it didn’t sell. If only some of the tougher tracks like ‘Taste It Don’t Waste It’ or ‘Honey Babe’ (what a great 70’s song title !!!) had been released things may’ve gone differently. Even compromising their traditionally explicit album cover designs didn’t help and the album flopped. Slowly members left including founding member Peter Wells and a final album was released – a pretty weak effort titled ‘Average Rock n Roller’ (saved only by a great Stones style ballad called ‘Hotel Ladies’). However the bottom line is ‘Mother’s Choice’ is a killer record. If only the Stones had released an album this strong !! Like all Buffalo albums, this is pretty hard to get, a German counterfeit/bootleg may be the best option followed by paying big $$ for an original. It is rumoured that an official release of all the Buffalo LP’s is on the way so start saving.